Christina Hollis: Timeslip-The Most Creative Writing? 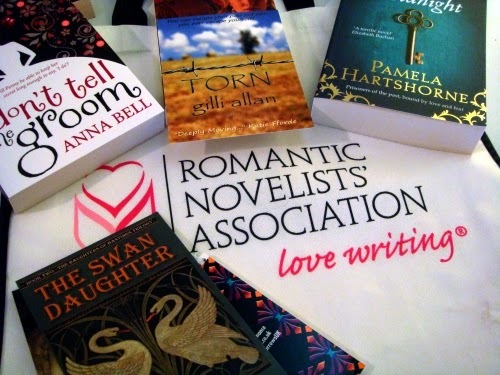 I wrote here about the amazing day I spent at the RNA Conference a couple of weeks ago. One of the sessions I attended was Pamela Hartshorne's One Author, Two Genres. As Jessica Hart, Pamela has written over fifty books for Harlequin Mills and Boon. She spoke of her decision to juggle writing romance with returning to study for her PhD. It was a really absorbing hour, especially when Pamela explained how she used her post-graduate research and intimate knowledge of York to write a single title, Time's Echo. This led to a contract with Macmillan and a second stand-alone historical novel, The Memory of Midnight. I've now read The Memory of Midnight and I can strongly recommend it as a great read. I'll be featuring it here shortly, so make sure you don't miss that by subscribing to my blog (use the box on the right). The last time I'd read any sort of timeslip story was when I read Tom's Midnight Garden to my children, but Pamela's session enthused me. I always have a few story ideas looking for homes in the back of my notebook, so inspiration wasn't a problem. My only worry was how to keep tabs on all the different story elements. If you've read my blog about Scrivener, you'll guess what happened next! During Ian Skillicorn's session Going Solo later that same day, I heard Julie Stock talking about the joys of using the system. The next step was obvious. I got the software, and started planning. What's you favourite timeslip story? Have you ever tried to write one?